This ranking shows the all-time top winners of the World Cup. Each edition displays the number of championships that have been won up to that year. This ranking has been created internally by Classora's robots with data from the FIFA, an external source of information. 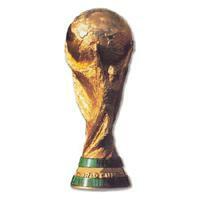 The World Cup is the most prestigious international tournament of men's national soccer teams. This competition has two main stages: a classification in which nearly 200 national teams participate, and a final stage that takes place every four years in which 32 teams compete for nearly one month.